The ballot for The Wildlife Society’s 2019 elections include a proposed bylaws amendment and nominees for the positions of Vice President, Northwest Section Representative, Western Section Representative and North Central Section Representative to Council. Additional nominees for the four Council positions listed above may be submitted by any voting member in good standing, if supported in writing by 5 percent of the voting membership. The deadline for additional nominations is May 12. One amendment to the bylaws has been approved by Council for consideration. Members will be asked to vote on this amendment to the Society’s bylaws when they receive their ballots. Electronic ballots will be sent June 7 to all members with an email address. Members without an email address will receive a paper ballot in the mail. Voting will close July 1; Mailed paper ballots must be postmarked on or before July 1. Newly elected Council members will be installed at the 26th Annual Conference, Sept. 29-Oct. 3, 2019 in Reno, Nevada. The proposed bylaws amendments and candidate statements are provided below. The regular annual meeting of the Council shall be held shortly preceding the Society’s annual meeting or at such time and place as the Council may select. There are two regular meetings of the Council held annually. The first shall be shortly preceding the North American Wildlife & Natural Resources Conference or at such time and place as the Council may select. The second shall be shortly preceding the Annual Meeting of the Society or at such time and place as the Council may select. Special meetings of the Council may be called by the President or upon written request of three Council members when, in their opinion, business of the Council so requires. Council members shall be notified at least 10 days prior to said special meetings. The wildlife profession best represents my interests and passions; TWS addresses the full spectrum of our complex profession. I am inspired by pioneering conservationists who took steps over 100 years ago to conserve wildlife. They had this in common — a fundamental passion for all things wild. As a prospective TWS elected leader, I believe we should: Be at the forefront of wildlife conservation at all levels (local, state, national, international); Be the champion of science-based management, through well-designed and timely research; Help people experience the happiness that comes from wildlife; Ensure highly trained professionals, meeting the highest standards of academic and professional excellence, are recruited into the workforce; Advocate for wildlife as a public trust resource; Be a strong voice for the legitimate, democratic, and lawful use of wildlife; Uphold our traditions regarding the use of wildlife while recognizing that modern reforms are needed to meet contemporary needs; Ensure that the interests of wildlife professionals are voiced and heard at all levels. The Wildlife Society is a strong organization because of passionate and dedicated professionals who value working hard. The task of your national officers is to help you conserve and manage wildlife through personal initiative, along with the work of the Chapters, Sections and Working Groups. I am grateful for the thousands of dedicated wildlife biologists — the heart and soul of TWS. I would be honored to assume a national leadership post at TWS to help advance our collective vision for the future of wildlife, while strengthening our profession. I’ve always been a bit of a gearhead, especially when it comes to fabrics I take in the field. When I joined The Wildlife Society as a young Montana biologist in 1980, my field garb was crafted from fabrics of heavy cotton duck, recycled military wool and hefty Red Ball rubber. Transformation to contemporary fabrics such as stretch pile, low-grid cool weave and Gore-Tex now enable me to stay in the field comfortably and work more effectively. The human fabric of our organization, TWS, has transformed too during my time and will continue to evolve with inclusion of new, diverse TWS members, our changing understanding of what wildlife means to society, and with what it means to be a professional wildlifer. I aspire to help weave the TWS fabric into one recognized as THE professional society — operable word is professional — for anyone who views themselves as a wildlife professional in all its myriad forms. A rule in selection of the best fabric for field gear is suitability to the task. The strength of our TWS fabric will be only as suitable, durable and thriving as the individual threads of our membership. We have ample room to grow upon the laudable achievements already occurring to become a more inclusive, diverse organization. An organization well-matched to the tasks, a sturdier fabric for conservation, more suitable for the vital environmental and social tasks facing our profession. I am humbled by this unique opportunity to help weave the fabric of The Wildlife Society. Since 1993, I have lived, worked and recreated in the northwest from the Columbia River drainage to north of the Arctic Circle. Throughout my career, I have benefited from my membership with TWS because it serves as a great forum for mentorship, sharing of ideas, collectively addressing important issues, and fostering new collaborations. Thus, TWS has an important voice as it reflects the passion of its members toward our shared mission of sustaining wildlife population and habitats through science-based management and conservation. The northwest region faces a variety of issues going forward such as impacts from and mitigation of the effects of climate change, emerging and expanding disease threats, increased land and resource use, an expanding urban-wildland interface, and federal and state management of protected and recovering species. While we often view these topics through the lens of wildlife conservation and management, they are indicative of the larger societal and global challenges that lie ahead. In this regard, TWS has both an opportunity and obligation to lead. While the day-to-day job of wildlife professionals has changed through time and new challenges have emerged since TWS was founded in 1937; the motivation, character and capability of our membership has not. Collectively, TWS has a local, regional, national and international impact, and I know we can continue to serve society as a reliable, objective and inspired advocate for the lands and wildlife we cherish. I am truly humbled to be nominated as Northwest Section Representative. My interest stems from my time in The Leadership Institute (LI), which exposed me to the inner workings of TWS and encouraged me to become active at the parent society level. I have always wanted to give back to the organization that supported my growth professionally and personally. I see no better way than to help guide TWS into the future while supporting and inspiring the next generation as your Council Representative. My vision for the Section is to foster growth and engagement cultivated in recent years through the leadership of LI alumni and increased engagement of Section members. Collaboration, openness and mentorship are my true strengths as a professional. I bring with me knowledge of growing Section engagement from the Northeast and strong ties to states in the Northwest. One of my primary goals is to bring LI to the next level by working with Council to develop an endowment campaign to embolden LI’s future, thereby insuring continued leadership development of the Northwest Section and all TWS subunits. I will work diligently to engage the states in the Section to bring their voice and awareness of needs to Council. I have always had an ‘open door’ policy for members and would welcome feedback and discussion whether you be a student, early career, career or retired professional. I will do my best to represent the perspectives of the Section and insure the financial well-being of our organization to the future. A very important aspect of what I do as a professor and a biologist is service to the wildlife profession. 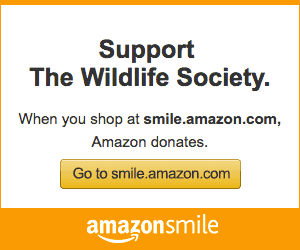 I have been active in The Wildlife Society at the national, Section, and Chapter levels for many years. I am currently the Nevada Chapter Representative to the Western Section, and I’m on the Publications Award Committee for TWS. I am interested in being the Western Section Representative to Council to help bridge the gap between TWS Council and the Western Section as well as the Chapters that comprise the Western Section. I think it is important to bring issues, such as transparency, that are important to the Western Section to attention of TWS council as well as bringing information that is important to the council to the attention of the Section and Chapters. An important role of The Wildlife Society is bringing people together to coordinate the mission of The Wildlife Society. These are challenging times for wildlife conservation and threats to wildlife are coming from multiple directions. How scientific knowledge informs policy, and how our voices as scientists and educators informs future policy is extremely important in these times of continuing threats to undermine conservation of wildlife populations. I will bring my perspective and experience in representing the values and topics of importance to the Western Section and its Chapters to the TWS Council to foster communication and support of wildlife conservation. Throughout my professional career, I have focused on the issues surrounding the conservation of imperiled and endemic species. I started with biological studies and worked my way up into a management role with the California Department of Fish and Wildlife. We are at a bit of a turning point in the wildlife profession. The traditional model of wildlife conservation, where the consumptive users are the primary funders, no longer works in much of the country. California, like many other states, is actively engaged in 3R (Recruitment, Retention, and Reactivation) efforts, because it is important that future generations and a diversity of cultures be able to enjoy the hunting and fishing sports into the future, while at the same time, the public at large has other conservation expectations. This is all compounded by an increasing human population and global climate change. We need to better convey to the general public why wildlife conservation is important and relevant to them, regardless of whether or not they are a consumptive user, birder, hiker or paddle boarder. Lastly, most of us got into the profession because we wanted work with wildlife, but it turns out that effectively interfacing with the non-science public turns out to be the most important skill of all. Thank you for your consideration of me for your Western Section Representative. I will do my best to help advance our profession, advocate for good science, and increase our relevance to the public. I am pleased and honored to have been nominated to run as your Representative to the Wildlife Society Council. I’ve been a member of TWS since my professional career started many years ago, and TWS has been, and continues to be, a great organization. The Society provides excellent opportunities for networking, information sharing and a sense of pride in being involved with something much bigger than oneself. Engagement is the key to success for your Section Representative; I will listen to your thoughts and concerns from Chapters and individuals, and make sure those views and creative ideas are voiced at Council meetings. In the words of Past President Gary Potts, “we are The Wildlife Society” and our strength in numbers and the diversity of our ideas make a difference in wildlife conservation. I’m eager to serve as a conduit for the creativity and innovation that originates in the Section. Another critical role of the Section Representative is to provide feedback to the Section, and I will ensure Council proceedings are documented so Section members know what issues were discussed, what decisions were made, and the rationale for those decisions. I am fortunate to be retiring from the Michigan Department of Natural Resources at the end of May, and my goal is to remain engaged in wildlife conservation. There would be no greater honor then to represent you on the TWS Council. I am eager to fill that role, and I thank you in advance for your support. I have served on Council for almost three years and now have detailed knowledge of how the organization operates. Another term will allow me to be more effective in getting the North Central Section concerns and initiatives heard by Council. TWS has been a very important part of my career. I am the past-president of the Minnesota Chapter and the North-Central Section. The opportunity to continue to serve as the North-Central Representative to Council will allow me to work for a stronger membership base and have greater influence in wildlife conservation. TWS is the leading scientific organization dealing with wildlife management, biology and policy. Unfortunately, we are not seen as the go-to organization for the public or elected officials. TWS membership needs to get that information out to a broader public audience. This can be done by a stronger collaboration between the National Office, Sections and State Chapters. I would like to work on making the connections even stronger so that every wildlifer understands the importance of TWS to our profession. Another important area is the inclusion of all wildlife in TWS activities, conferences, journals and policies. Emphasis of traditional wildlife species should not be diminished, but inclusion of invertebrates, reptiles, amphibians and other taxa should be embraced as an important part of TWS. This will provide us a wider membership by attracting members who had previously not considered TWS as an appropriate professional society for their taxa. This will provide a stronger voice in habitat and ecosystem protection. President’s Podium: Working for you!